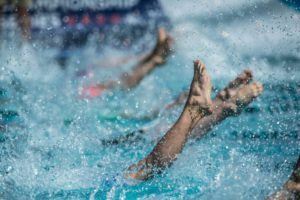 On the heels of its national championship meet, Swimming Australia has named 26 athletes to its roster for the 2019 World University Games in Naples, Italy. Australia’s “Lethal” Leisel Jones has been named to the International Swimming Hall of Fame class of 2017. She’s the 15th person, and 4th pool swimmer, to be announced in the 17 member class. 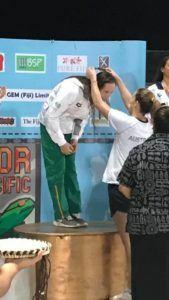 Jones’ nickname came not only from the similarity in sound to her real first name, but because she was one of the most feared breaststrokers in her generation. When she dove in at the 2012 Olympic Games, she became the first swimmer in the great annals of Australian swimming history to compete at 4 Olympic Games. In total she amassed 9 Olympic medals from the 2000-2012 Games, including 3 golds: in the 400 medley in Athens and Beijing, and in the 100 breaststroke individually in Beijing as well. She was only 14 at the 2000 Olympic Games where she won silver in both the 100 breaststroke and 400 medley relay – a fresh face that followed in the footsteps of what Amanda Beard did 4 years earlier with big success at a young age in front of a home crowd. In total, besides those 9 Olympic medals, she earned 16 World Championship medals (7 golds), 6 Pan Pacific Championship medals (1 gold), and 11 Commonwealth Games medals (10 gold). Jones hails from the small Northern Territory town of Katherine, which as of the 2011 census only had 6,094 residents. I see that there are many non-pool swimmers in this year’s class. That means there’s hope for you in the class of 2036 under the category of “swim entrepreneur/blog editor.” Good luck! Jones is one of the best breaststrokers.